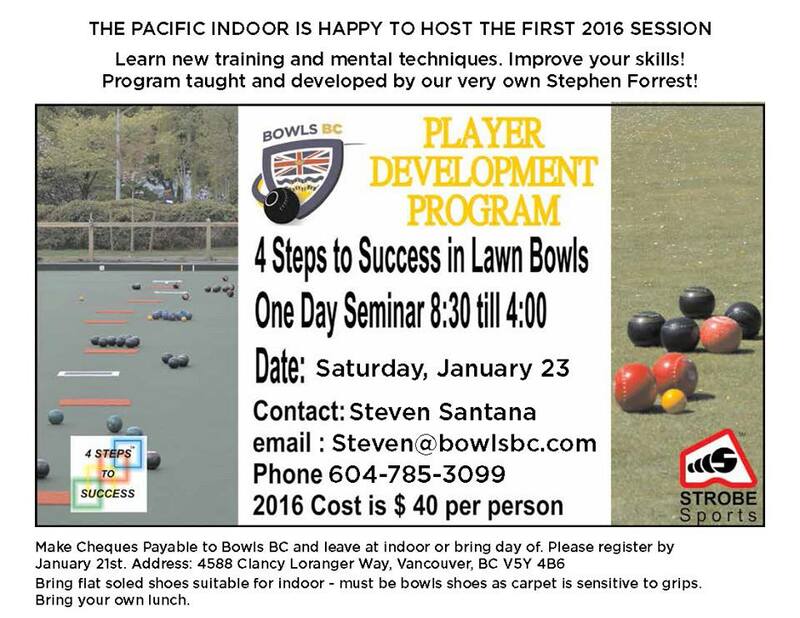 Pacific Indoor To Host: The first 2016 session of the Four Steps to Success program in being held at the Pacific Indoor Bowls Club Saturday January 23rd. Come and participate and learn some skills at the indoor and new ways of training and thinking about the game we all love to play! Run by our very own Stephen Forrest, whom has put a great program together! Come on down for a great day!